It is forty years since Elvis Presley entered a recording studio and he seems very reluctant to record anything new. So in terms of releasing a "new" album of Elvis material the topic has always been a tricky one. After commercial failure of the last Elvis / RPO album that concept has been dropped in favour of an Andy Childs led “Re-Vamp” of some Elvis Gospel. Recorded over fifty years ago there is no doubt that some of Elvis’ Gospel songs might benefit from some sensitive modern production. And, after all, there is an interesting selection of tracks to work with. Disclaimer; I one of the world's biggest Elvis collectors and supporters and I truly believe that it is a good thing for Elvis' legacy to get a "major re-boot" every decade or so just to get his music back in the charts, into the media and so that Elvis Presley’s amazing legacy is flagged to a new generation of fans. But no Elvis fan has the duty to love these new remixes or revamped versions. However if they do help guide a new generation into investigating Elvis’ amazing body of work then that is a genuine positive. It is forty years since Elvis Presley entered a recording studio and he seems very reluctant to record anything new. So in terms of releasing a "new" album of Elvis material - that might make an impact on the "general public" and get him back into the charts - the subject has always been a tricky one. As EIN’s review of the Elvis / Royal Philharmonic Orchestra releases by Piers Beagley and Bryan Gruszka received such interesting feedback the team is back to cause some more double-trouble! 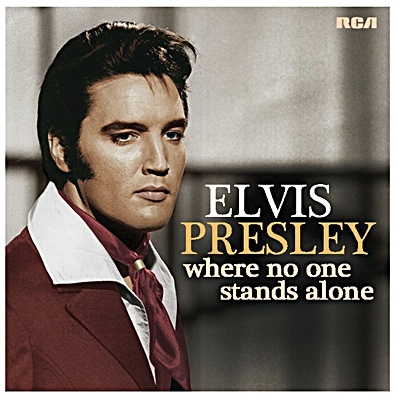 Even if you are a hard-core Elvis fan ‘Where No One Stands Alone’ the new Elvis “re-vamped” album brings some good news. 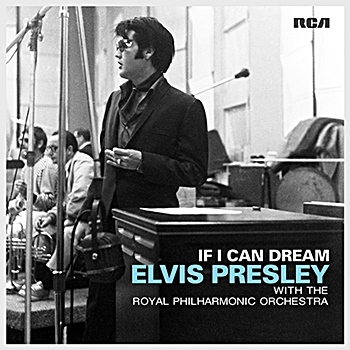 Presumably due to the relative failure of the last Elvis / Royal Philharmonic Orchestra album that rather tired concept of slapping slushy orchestral sweetenings over Elvis’ original recordings to create “New, Re-envisioned” albums has been abandoned. EIN was informed that from the start some “gospel” Royal Philharmonic overdubs had been tried out so it is interesting that someone in EPE / SONY seems to have decided that enough is enough. At the same time the concept of Priscilla as a “producer” has also been abandoned. Piers Beagley considers the new concept. It was time for something new and it seems the idea came from Elvis fan and Memphis singer-songwriter Andy Childs. For once he presented a much better case for trying out yet another Elvis ‘Re-envisioned’ album rather than the usual “Elvis always said he wanted to do this” excuse. Andy Childs has actually explained these positive ideas as the producer. “The first thing you ask yourself is ‘what do we want to accomplish?’ Because Elvis’ original records are all fantastic, you’re not going to make it better..
My goal was to make sure we were making this project about Elvis and Elvis’ voice, and to try and bring out his voice and make it sound as big and as clear as ever, so everybody could really get the feel of what Elvis was doing on these songs. I wanted us to make sure we could hear Elvis above anything else. After the poor production decisions noted in the Elvis Royal Philharmonic Orchestra albums this actually gave me some hope. 1. Do not bury Elvis’ original vocal under O-T-T new backing vocals or instrumentation. 2. Keep the rhythm section stylish and fresh, do not use dated instrumentation. 5. Make it soulful and with a modern Gospel feel, do not use corny, dated arrangements. Sadly while a couple of tracks do obey these rules unfortunately the vast majority fail with Andy Childs incapable of not throwing every Over-The-Top idea he has onto each overdub. There is also no doubt that when fans at Elvis Week hear Andy Childs perform his show live on stage, the use of loud electronic drums and synthesisers works fine. However what sounds exciting in a live performance does not necessarily translate to CD. The overpowering electronic percussion/drums on this release – definitely not the sound of a record Elvis would’ve made in 2018 - becomes very tiresome and the more I have listened to the album the more I have disliked it. It would have sounded so much better had they used a real drummer - why not Bob Lanning who recorded 'On Stage" with Elvis - that would have been another neat connection. While I commend that have tried some new ideas in extending tracks or choosing alternate vocals, ultimately there were so many ways this could have been a better production. Bryan Gruszka considers the new concept. I was excited to hear that a new Gospel album was being created, similar to those done with Elvis and the RPO, and was happy to see a number of 70s Gospel tracks included on the release. I was also heartened to see that it made it number 22 in the US, much higher than the overhyped Searcher soundtrack, despite little publicity and the fact that it was a Gospel release. I’ve listened to Where No One Stands Alone numerous times now and my feelings on the release have remained pretty much the same as the first time. When I first listened, however, I listened in reverse order (unknowingly) and Amazing Grace came first, which provided me a different listening experience and also set my expectations as, in my view, Amazing Grace is one of the best, if not the best track on the album. On the positive side, Elvis’s voice is really clear and in most instances meshes well with the new backgrounds. It’s very up front and one can hear the power in his vocals, especially on the songs that open with just Elvis and minimal instrumentation. Some tracks are heavy on organ and tambourine, as if the release had to make sure that the Gospel music stereotypes were there – I could picture the producers saying “It’s not ‘Gospel’ enough. We need lots of organ and lots of tambourine!” Overall, I found it a pleasant listen, but with a number of arrangements that, in my view, were missed opportunities to make already good songs into something really outstanding. As everyone knows, Gospel music was one of Elvis’ great loves, and so his sincerity shines through on all of the original tracks, so in some cases it would probably have been more effective to accompany Elvis’ sincere vocals with minimal backing tracks to help maintain the tenderness of the song. 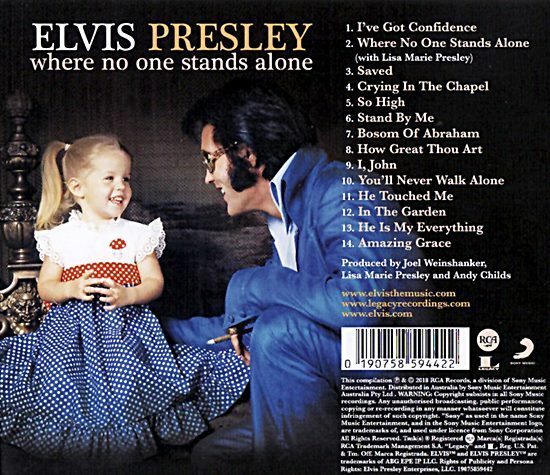 Sadly, a number of songs on this release, ou’ll Never Walk Alone, Crying in the Chapel, and In the Garden in particular, start out with just Elvis and some minimal instrumentation and yet then expand to, in some cases, throw everything but the kitchen sink into the arrangement which, unfortunately, detracts from the feel of the performances. Perhaps my strongest criticism of this release apart from the seeming need to make every song a musical event would be its overreliance on what I’d characterize as the “karaoke drum track” – that overly artificial, synthesized, and overly prominent drum track that would sound more at home on tracks by 80s icons Duran Duran or Debbie Gibson. This karaoke feel is unfortunately present on too many of the tracks on this release, definitely bringing them down a notch or two in my book. The cover features a poor attempt to photo-shop Elvis' eyes to deep-blue. In the real photo Elvis' hair has a red glow and his eyes looked brown. In comparison the recent 'The Searcher' chose to feature a genuine photo of Elvis with brown eyes. In this review the songs are rated from A to C.
“A” level songs being decent standouts that add something to the original or brought Elvis successfully into the present and “C” level songs being those that detract from the originals - with “B” songs being somewhere in the middle. PB: After a gentle beginning the second verse “Like a king I may live” has been dropped so we go straight to the “Hold My Hand” chorus with Elvis and Lisa Marie duetting. The simplicity of the arrangement then becomes rather bombastic and the charm of the original becomes lost. The missing verse now comes in after the first chorus. Lisa Marie’s vocal actually fits nicely with Elvis’ and this is certainly a clever marketing trick. It would have been better with a gentler arrangement giving more space to Lisa Marie and Elvis' vocals. I'll keep to the original with this one. ‘B+’ purely for the marketing trick. BG: This was the first song I heard from this release and when I heard it through my phone speaker I thought it was a nice improvement, as the original arrangement for Saved was never one of my favorites, not to mention that the song goes one way too long, especially when not watching Elvis perform it in the ’68 Special. This is definitely a song for viewing and not listening to in my view. PB: An unusual new intro without backing vocals sounds positive but is soon lost in an all-too simple arrangement with tacky synthetic drums. PB: Elvis’ vocal is nicely raised here and along with the huge gospel choir you can see why this was chosen as the track to end the album. The 12 page booklet features a note from Lisa Marie (see above) and four photos from the 'Comeback Special'. Disappointingly it does not credit which of Elvis' original backing-vocalists feature on which track. The album was produced by Joel Weinshanker, Lisa Marie Presley and Andy Childs. Mastered by Andrew Mendelson. Roger Semon is credited for Art Direction. Ernst Jørgensen is not featured in the credits. Overall Verdict: While the stated concept to open up Elvis’ vocals and create "an album Elvis would have made in 2018" is a fine idea, sadly the vast majority of the tracks are let down by poor production decisions. The ‘karaoke drum track’ dominates far too many songs and the use of synthesizers makes the songs sound dated, not new. Several songs start beautifully with Elvis’ gorgeous vocal and minimal instrumentation but then get spoilt by the kitchen-sink O-T-T arrangement that the producers think every song needs to make an impact. This makes most tracks a little predictable as to where they are going to go and do not make for enjoyable repeated playing. Having said that listening through the first time was more enjoyable (or perhaps more interesting playing spot-the-edit) than on the tenth play. Piers Beagley postscript: EIN realizes that people's opinions of these "Re-Vamped" Elvis albums differ. That is why I asked Bryan Gruszka to do a completely independent review. Rather oddly the original 'I’ve Got Confidence' turns out to be one of his favourite Elvis tracks yet is one of my most-disliked. While our opinions differed across several tracks in the end we were both a little disappointed. However fans who wrote in to comment "Yours is a bad review" (see below) perhaps miss the point that 5/10 is an average mark. In comparison the Elvis / RPO Christmas album was a stinker. Bryan Gruszka postscript: Fans must realise that overall I actually enjoyed the album and I'm happy it was successful. However it was a missed opportunity to do something truly stunning. Chart-wise it wasn't as successful as I wanted it to be but it was more successful in the US than I thought it would be and that's really what's most important to me. Reactions to our review (below) show that some people don't realize that you can be critical of a release yet still like it. The positive points we both made seem to have been overlooked! As I always say, if it gets new people into Elvis then it's done its job. Review by Bryan Gruszka and Piers Beagley. Click to comment on this review - AND PLEASE send us YOUR opinion. The two of you haven’t a clue! With the possible exception of “I’ve Got Confidence” my wife and I give the rest of the songs on the album an A+. We love the album and have played it many times. I am a musician as well and I can tell by your analysis that you do not know much about music at all. Elvis would have loved this album period! A great, sobering review and I agree wholeheartedly. This album was an absolute mess from beginning to bitter end and hopefully, it will be the last of these style of releases as it's clear the public is getting tired of them and I'm sure so are most fans. As expected, a bad review of this cd, i did not expect anything else, even comparing this cd to a RPO release is simply not right and this cd does not deserve this. All the tracks sound great, Elvis his vocals sound clear better then ever before. What you also forget is that this album was recorded with other outstanding people, like Cissy Houston, members of the stamps Quartet, Cissy Houston and so on that is a big plus in my opinion. All The new versions sound great artificial does not come to mind at all not even close, i am from a family with music flowing through our veins. I simply love this album cannot stop listening to it, and many MANY other fans share this with me. Reviewing the tracks in this review is also not very fair, but lets keep it at that. Yeah ok you like some tracks but overal in your opinion this album is a let down, but when released is showed just the opposite getting many positive other reviews. I think the vocals from Elvis are much clearer then on the originals, they even used alternate vocals, and that does it for me ! It sounds great - the backing vocals are top notch, the duet is outstanding, Lisa Marie is a fantastic singer. With more advertising promotion would have been an even bigger success. I’ve been a fan since the fifties. I don’t like anything that is done with tampering the sound of the originals. Elvis is the greatest singer that ever was. Don’t care for all these electronic things and add ons that they are doing. I was hoping for more in the way of new background vocals since so many of those who sang with Elvis were involved with this. I like the CD overall, but was slightly disappointed with some of the tracks. As a lifelong fan I find that a lot of the re hashes that's done with his music is getting over saturated and tiring now. Pumping out cd after cd with so called 'alternate takes' that you can hardly tell any difference has got boring. I do have some of the 'alternate' cds like the Royal Philharmonic ones, which aren't too bad, but I on the whole, I think we, the fans have been 'milked' enough! Unless something rare or new is found, I'm sticking with the Elvis originals. This is just my opinion from an old Elvis fan. I don't mind an odd remix such as ALLC but I haven't liked the new albums at all. I hated Viva Elvis which was mainly just noise (although I liked Suspicious Minds,) the RPO albums were elevator music and lost the magic created by Elvis and his friends, and this latest album has zero soul. Someone ought to tell Ms Presley that she has NOT inherited his talent - it's just profiteering. I REALLY LIKE THE ALBUM. To me the emphasis is on Elvis's voice which stands out on every song. You can't please everyone - Elvis always seeked perfection - he would of gone on with working to improve everything he chose to do with his music. Lets just enjoy it for what it is. My son went with us this past August 16th to see the 50th anniversary of the NBC ‘68’ Comeback Special at the movies. He said that he never realized what a rich musical legacy Elvis had left behind when he died in 1977. It is up to the people who love Elvis and his music to keep sharing his original music. That is his legacy. 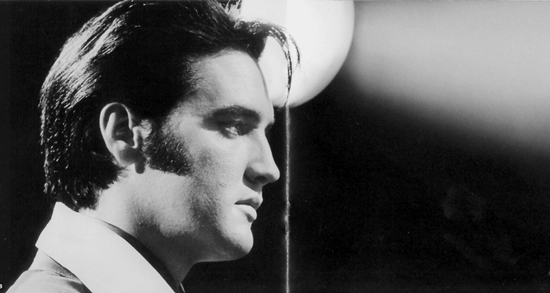 Anything that changes the original music of Elvis and is recorded after his death is not part of his legacy. It is unfortunate that Elvis died so young. So, if his music sounds like it was recorded in the 50’s, 60’s, and 70’s that’s because it was! That’s when Elvis lived and recorded his music. Why change it or add something to when it was already the way that Elvis wanted it to be. It is his gift that he gave to all of us. My opinion about this new release is that is really good. As we always say, one doesn’t have to listen to this if he prefers the original versions he can always go back to the original releases but I was blasted by this effort, I did & I am still appreciating this big effort that to me sounds like the best done in a long time in terms of trying to re-vamp some tracks. I am a huge fan of Elvis’s gospel tracks & I do sincerely think Elvis would have been extremely happy with this project. Agree with review, I bought the cd, but wont be listening to it ever again. Elvis was about real music and musicians not tacky synthetic revisions. The great thing about a review, is that it gives opinion and opens discussion and that's exactly what has happened. Love it, like it or loathe it; this album topped the Billboard Christian Album charts (a first for Elvis) and also topped the UK Christian & Gospel Album charts. I love it when ANYTHING introduces Elvis to a new audience and achieves positive results. The purists are going to hate it, those looking for something new are going to appreciate it and those who don't know too much about the original sounds just might love it. Is everything on this new album A+ or 10/10? Probably not. If you don't like what they are doing, don't buy the stuff. If you really loved Elvis, you would have walked over hot coals to go and see the 50th anniversary '68 Special at your local cinema. When I heard this album was being released I thought to myself "Another RPO album?" When I found out it wasn't an RPO album I pre ordered it the first day you could. When "Saved" was released ahead of the album I bought it. I loved it. Now, I've been an Elvis fan a long time. There are a lot of re mixes I don't like. To me, the best remixxing of his music came with my favorite live album in "Prince From Another Planet". Having said all of that, I can take or leave some of the tracks on this album. I also believe that Lisa Marie's singing is an acquired taste. Some get it, some don't. I bought this CD only because of the duet with Lisa Marie, which I enjoyed hearing. I am a purist, and I do not like Elvis’ music tampered with, period! This is the only one of these “new” CDs that I’ve ever purchased, but I will say I do like hearing Elvis’ voice up front. For the rest of it, please, please, LEAVE HIS RECORDINGS ALONE! Sadly these reviewers are out of touch with the real world. Anything & I mean anything that gets Elvis noticed has got to be positive. Would yet another greatest hits in the charts have got the same media coverage? Any tampering is looked down by these two. The bottom line is you have still got the originals. Perhaps we should get younger reviewers. EIN Notes: For our review of the RPO Christmas album EIN did a joint review with 20-year-old Elvis fan Brittany Edwards. Her comments basically matched my review and she also thought the album was very poor. I did ask my younger relatives for input but none are interested in Gospel Music they had no interest. 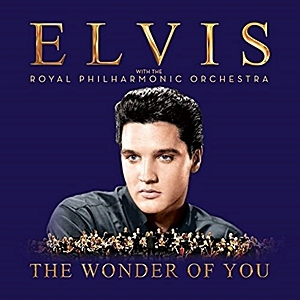 After the disappointing symphonic orchestra albums I was looking forward to this new album of updated Elvis gospel. If fans want the originals they do not need to buy this new album although I do like to see Elvis in the charts. I disagree with your comment about Crying In The Chapel being a bad new version as it has always been one of my favorites and it is lovely to have a new version. But there are too many songs where the new band gets way to loud and where you can hear Elvis so clearly at the start of the song but his voice gets lost at the end. Starting the cd with the little known 'Ive Got Confidence' was a very brave move but tracks like In The Garden and He is my Everything are bad choices and the new version of You'll Never walk Alone is terrible on this cd. Perhaps the next one do will be better. After reading your review I re-listened to the album; was this the same album that I had? No.., not at least to my ears! I consider myself as a fan with strong views about Elvis (either positive or negative). I can look in the mirror and say when Elvis is rubbish or when he is good. Let me start by saying that I give this album a 4 out of 5. -- We have to look at the bigger picture. Joel Weinshanker wanted this album as a vehicle to produce a gospel show in the near future. Joel is a very commercial guy and thinks about ways of making money to keep ‘Graceland’ going. Lisa Marie’s role was an advising one. It was nice to hear her voice again after all these years. Since her two CD’s sounded as ‘alternative rock music’, it was she who kept her eyes-and-ears out to prevent this CD from going into ‘Karaoke’ territory. As a wild child from a real rockstar she would not approve a Karaoke CD. Which WNOSA is not ! By stripping the original backing vocals we hear more Elvis, and we hear him better!. They did a tremendous job on Crying In The Chapel with cleaning the original vocal track of Elvis. The best songs are “I’ve got confidence” and “I, John”. As an Elvis DJ “Confidence” has really been upgraded to a floorfiller. Really up-beat and what a change from that terrible mix that was used in the 70s. The ‘He touched me’ album suffered from bad mixing as Elvis was buried in the backing vocal. (Oh, how I would love to hear a ‘new’ version of A Thing Called Love). “I, John” has that rockabilly feeling. And rockabilly rules in my house! I want to close this review with the fact that numbers don’t lie. The album sold well in America, and ‘pretty good’ in the rest of the world. Remember that WNOSA was aimed at the American market and where ‘Gospel’ is Big! So a number 1 in the Christian Chart is good! EIN Notes: We have no issue with "these type of CDs". 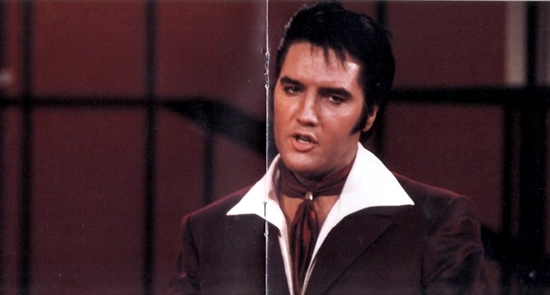 In the review we noted "I truly believe that it is a good thing for Elvis' legacy to get a "major re-boot" every decade or so just to get his music back in the charts"
We also stated, "While the stated concept to open up Elvis’ vocals and create "an album Elvis would have made in 2018" is a fine idea, sadly the vast majority of the tracks are let down by poor production decisions." The music is produced with loving detail and sophistication, enhancing Elvis vocal and giving a real freshness to the songs. I cannot get enough of listening to the songs loud, over and over again. “How Great Thou Art” brings tear into the eye, as the choir and the drums are building up, then retreat for a second, to come back for the final chord. Just brilliant. The instrumental break in “So High” has a great effect, “I’ve Got Confidence”, always a favorite of mine, sounds great with the gospel choir intro and outro. “Crying In The Chapel” sounds very intimate with the bare instrumentation and “Where No One Stands Alone” is so much better to me than the original. Since the early 80’s most music is not recorded live in the studio anymore but recorded layer after layer save the rhythm section, with the vocal laid on it later. So this album sounds up to date compared to albums produced by other artists nowadays. Listen to “Trying To Get To You” 1955, 1968 and 1974. All brilliant versions, but all different, evolving with time. Just like Elvis music overdub productions after his passing, different and evolving with time. Full recommendation to buy this excellent CD. Be open to the unexpected new… and enjoy! 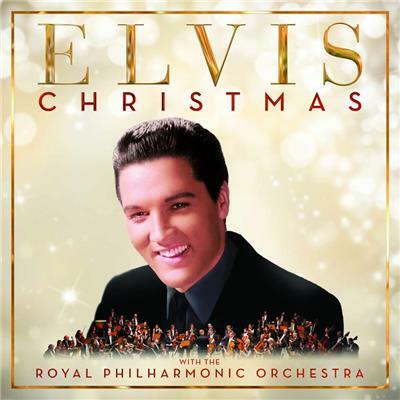 'ELVIS Christmas with the RPO' CD Review: The new Christmas album supposedly brings together the legend’s yuletide performances from his 1957 Christmas Album and Elvis Sings the Wonderful World of Christmas from 1971, re-imagined with new arrangements performed by the Royal Philharmonic Orchestra. 'If I Can Dream' new Elvis album - EIN Readers Respond: The publicity for the "new" Elvis album is ramping up, which is good to see. EIN asked its readers what were their opinions so far about the new album to be released at the end of this week. Of all the sneak previews EIN suggested that the new version of "Burning Love" sounded GHASTLY! Nor can we possibly believe that these songs with new overdubs are, "What Elvis would have loved to have had" as Priscilla tells everyone on her publicity trail. EIN reader's comments are a very mixed bunch such as..
... I've listened to every track that's available from this CD, and I hate them all! They've ruined Elvis' songs. Why can't they leave his music alone? The original tracks are perfect, just the way they are! ....The new arrangements are terrific and exciting as well as creative - especially Burning Love!! ... I’ve really liked most of what I’ve heard so far but must agree that 'Burning Love' is a bit odd… it doesn’t offend but it won’t be the track I use to sell the concept to family and friends." ... They have absolutely destroyed "Burning Love". This was about as stupid as painting a mustache on the "Mona Lisa". To be honest while EIN is not so sure of the concept of putting an orchestra over already orchestrated versions and putting violins over great rock'n'roll numbers like 'Burning Love' but we are keeping an open mind until we hear the whole album on a quality HiFi. We also hope the album is a big success but maybe we are the wrong target-market since we know the originals so very well.